Why Do Refurbished Electronics Get Such a Bad Rap? You might have heard of something being refurbished before, maybe because you bought something that was marked as a refurbished product, or that’s what happened to something you sent back. Either way, you’ve probably also thought that meant the product was worse off by being refurbished, even though it could be hundreds of dollars cheaper than the same item on a store shelf. You aren’t alone in this negative connotation of what a refurbished product is; many people have the same idea, and in some cases, it’s entirely justified and appropriate. But this is occurring mostly because we really have no clear definition of what a refurbished audio or visual product actually is, and it’s a big problem. There are at least six different definitions of what refurbished electronics could be, and unfortunately, a few of them are actually good for you, while the others aren’t. There’s no real way to tell the difference with which one you get, though. Anything labeled refurbished could be marked that way for a variety of reasons, and there is only one clear thing about a refurbished product: It can’t be sold as new. That’s it – the only clear requirement for anything marked as refurbished. So what are the types of refurbished products, and are they good or bad for you? Often, the case may be that an item is just about to finish its cycle of being “active” on a retailer’s floor; in many cases, the retailer has too many of them, too. When this happens, the retailer returns the items to the manufacturers. However, the company can’t actually resell those items as new products, so they resort to stores that will take the merchandise and sell it at a lower price with a stamp of refurbished on it. Good For Consumers? Yes! These are quite literally brand-new products that are being sold at a fraction of their original price. There are thousands of different kinds of return policies with retail stores. Some will take returns even if the box was opened, for a certain amount of time; some will only accept unopened returns; but pretty much all of them have to accept taking back a product because of a defect or problem. 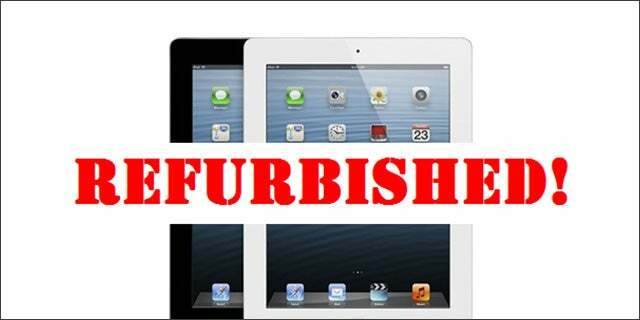 This means refurbished items from a return can be a mixed bag. Some will just have had the box opened and nothing else, which means it is brand new, while others will have a major defect. However, if there are any problems, it goes back to the manufacturer for repair. Good For Consumers? Probably not. However, refurbished from a return can be risky, so if you do get these kinds of refurbished products, make sure they are obtained from a retailer that offers a warranty. Sometimes, a little damage happens along the way, whether because an item was a demo device, poor shipping, or poor handling of it. And in many cases, this damage is just cosmetic, which the manufacturer won’t bother to fix because they know the device already has to be sold as a refurbished item. They’ll just rebox it and send it off (after checking to make sure nothing is wrong with it internally). Good For Consumers? Yes. As long as you aren’t concerned about a scratch or two on your device, these are well worth it (and even then, you can fix the scratch yourself). Much in the same line as cosmetic problems, these are the devices that maybe started in the factory as a defect, obtained a defect along the way, or developed one after being bought and returned. Regardless, these are devices that have some kind of problem with the functionality of the device, even if it is minor. They are always sent back to a manufacturer and repaired, but the repair doesn’t always discover the problem in the device, which means these commonly have a few issues after being returned multiple times. Good For Consumers? Sometimes. But for the most part, these are the riskiest of the group, as they clearly had problems before, and could still have issues. As you can tell, most people just assume everything refurbished fell into the last category, but in reality, that is a small minority of the amount of devices sent back to the manufacturer – more often it’s from overstock or customer returns due to a customer changing his mind. Keep that in mind the next time you consider looking at the refurbished devices area of a manufacturer’s site, and maybe save yourself some money in the process. Galen Irving is a technology specialist and computer repairer of six years, who has been focusing on supplying informative tutorials and other sources focused around refurbished laptops. Most recently he's been constructing a few personal computers that are themed around Avengers members.